The early days of aviation were an exciting and dangerous time. As manned flight took off, the needs of the pilots were sorted out on the go. 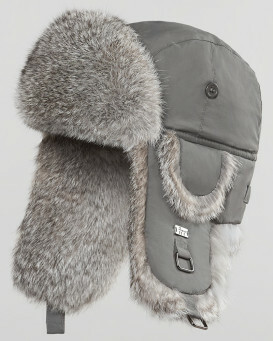 The classic aviator hat design was developed in order to keep pilots in open cockpits warm as they flew. As aviation advanced, so did the type of hats which were used by the crews of aircraft. In the mid 20th century the advent of bomber warfare gave rise to a new kind of hat. 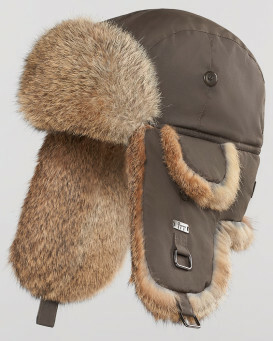 This style is one which has endured, and today we're proud to offer you our rabbit fur aviator trapper hats which hearken back to those charming bomber hats. While we don't live in a day and age where there are many open cockpit aircraft in use, the aviator hat has remained a continually fashionable accessory with a great deal to offer in terms of flair and utility. The design still provides warmth which is welcome on those cold days during the long winter months, all while possessing its own iconic style. 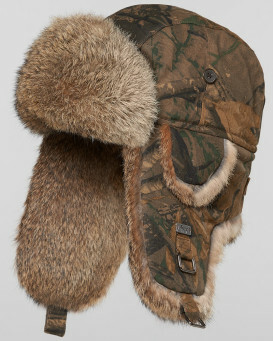 Our rabbit fur aviator trapper hats are the perfect piece of headgear for someone looking for an affordable piece of winter-ready clothing while also providing for a great way to make heads turn. We offer no less than a dozen color combinations from the chic to the outrageous, all so you can perfect your look on the streets, or the slopes. So why not grab a piece of retro aviator style and mix it with some down home trapper ingenuity and pick out your perfect hat today? 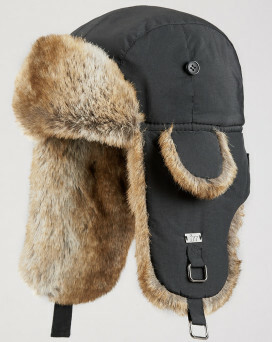 All of these aviator trapper hats offer you real rabbit fur paired with a high-tech Taslon nylon exterior to repel water. 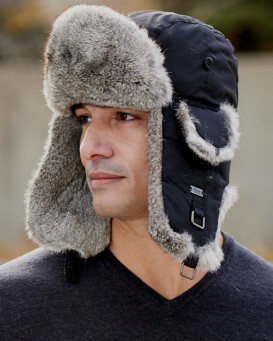 They are adjustable so you can be sure that your head will fit perfectly, and offer strong brushed nickel metal fasteners to secure your hat either up or down across your chin for extra warmth. "Product arrived in a very timely manner, nicely packaged. The hat fits perfectly. It's well made and is very comfortable and warm. Perfect for the freezing cold depth of winter that we are about to enter. Great for long walks, or if you are stuck outside in the cold for whatever reason. It looks great too. Makes me handsome!" 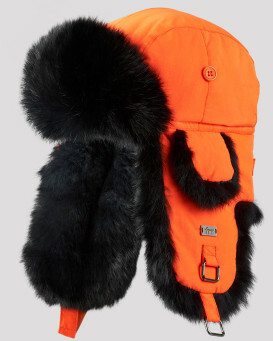 "If you are looking for great looking and warm blizzard-defying headgear look no further. Some features present on my hat but not listed in the description: 1/. The front panel is fitted with press studs so can be folded forward and down. 2/. Discreet ear holes are revealed when the ear flaps are raised. 3/. The chin strap has two retaining loops so finding a snug fit is easy. 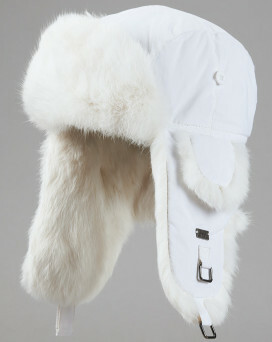 Well done Fur Hat World, importing this superior product was a 'breeze'. Would recommend. Thank you." "Perfect for N.E. Ohio cold, windy, snowy Lake Erie winters. 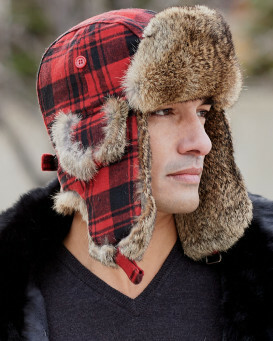 Not only keeps your head, ears, and neck warm, but also keeps cold from going down your back and chest. Purchased one for myself and my two sons. 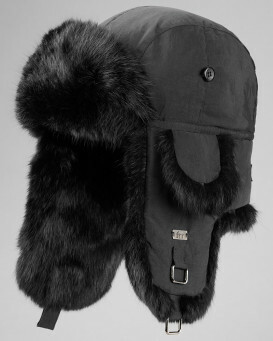 Also purchased the Moscow Full Fur Rabbit ladies Russian hat for my wife. Very simple to navigate the website and the delivery was prompt." Based on 1709 customer reviews.